Opinions differ these days where the topic of alloy wheel refurbishment is concerned. The market potential is great. After all, there are around 31 million wheels with kerbside and corrosion damage in Germany alone. The supply for repairs is therefore growing accordingly. But there are a lot of amateurs on the market. Especially since more and more diamond cut brands make things increasingly complicated. This leads to uncertainty in the workshops – and not always flawless methods in refurbishment. The specialists from CARTEC have been in the alloy wheel refurbishment business for more than 20 years and are intimately acquainted with all the details, professional refurbishment possibilities as well as directives. 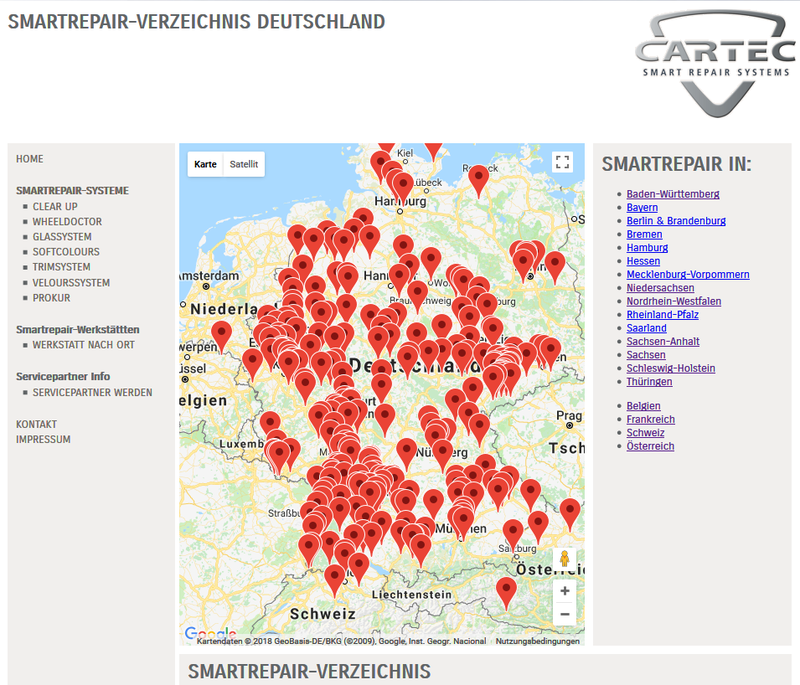 As a CARTEC partner your company will be listed in the German Smart Repair Directory. End customers can therefore find you quickly and easily with a Web or postcode search.